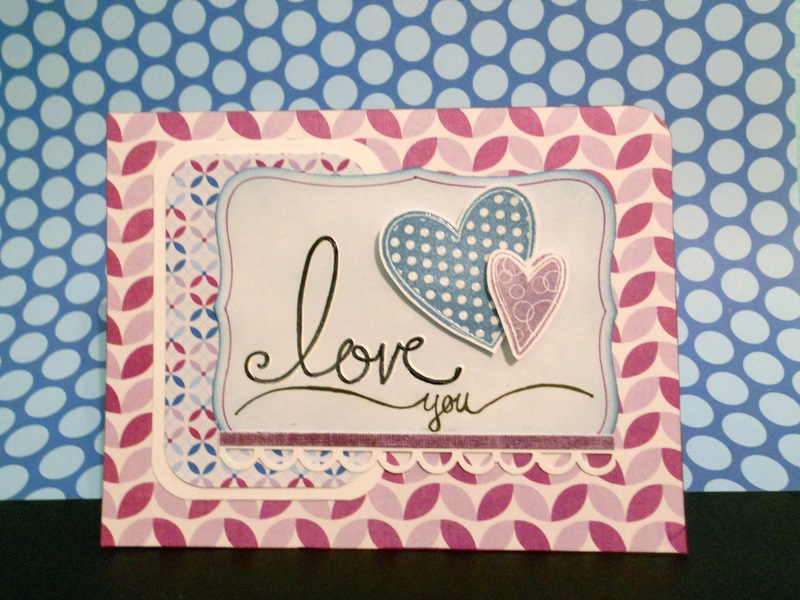 The patterned paper is from DCWV Summer Dream stack. ﻿I cut out the main panel with my nesties labels 8 then rubbed on some faded jeans distress ink, really lightly. I also edged it with faded jeans but when first to pad so it would extra dark. The hearts and love stamps are from Hampton Arts Wedding set. 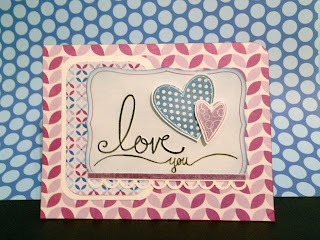 I stamped the polka dot heart in faded jeans and the bubbly one in dusty concord then cut them out. I also added glossy accents to the polka dot one just for some texture. the "you" I hand wrote . . .kwerneresqe :) For the border I used EK Success apron lace (I swear it's not the only punch I own, it just seems to be the only I use hehe) I adhered the hearts with foam. One layer for the big one, two layers for the little one! Oh Wow! I love this!! so fun and whimsical-love all the fabby patterns! What a lovely way for us all to be inspired for Valentines! 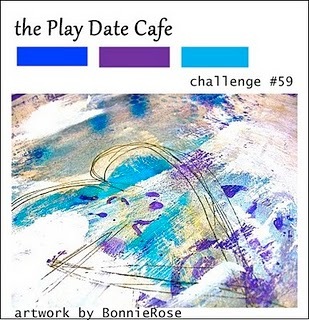 Beautiful entry and we are so happy to have you in The Play Date Cafe!